Now that the winter months have come to an end, you’ve probably got summer on your mind. If you’re thinking about installing a pool, but you’re wondering what the benefits of installing a new pool in Littleton, Colorado will be, look no further. The experts at Wetworks Pool and Spa are here to help! Below are just some of the best-known benefits of installing a new pool at your Littleton, Colorado home. 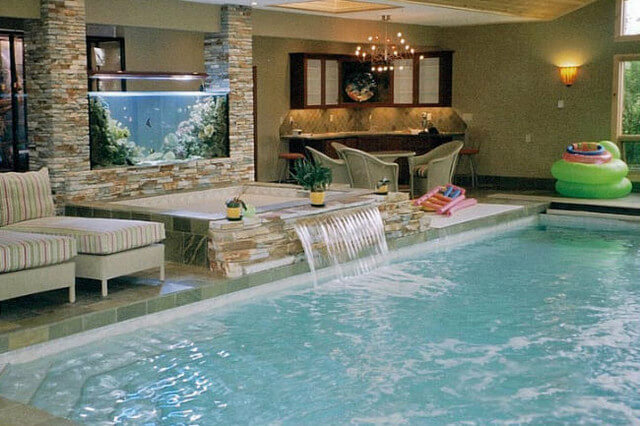 When you install a new pool in Littleton, Colorado, you can kiss all those trips to the YMCA good bye. Never again, will you need to fight for parking at a community pool. You’ll also be able to enjoy the serenity of swimming in your own back yard. One of the greatest benefit of adding a swimming pool to your Littleton, Colorado home is that you can stroll outside and jump in the pool whenever the mood strikes you. If it’s late at night and you’re wanting to take a quick dip to cool off before bed, you’ll be able to do that. If you’re like most parents, your days and weeks can feel like a whirlwind. Between managing the home, the responsibilities of your job and your kids’ after school activities, it can be hard to catch your breath! When you install a pool in Littleton, Colorado, you’ll be able to get in some low-key, quality time with your spouse and children. Swimming is a great form of exercise, and unlike things such as running or hiking, it’s very low impact on your body. Swimming can help improve your cardiovascular health and it can also help you lose weight. If you’re looking to add an exercise regimen to your day but you’re not wanting to spend hours at the gym, adding a swimming pool to your Littleton, Colorado home can help you reach that goal. Another benefit of adding a new pool in Littleton, Colorado is that it will help improve the resale value of your home. Most realtors will agree that a house that has an in-ground pool is easier to sell than one that doesn’t. It’s also worth mentioning that having an in-ground pool generally allows sellers to increase their asking price between 5 and 10 percent. Lastly, when you install a new pool in Littleton, Colorado you’ll decrease the amount of grass you’ll have in your back yard. If you add a deck, you may be able to cut your lawn space entirely. If you (or your spouse) isn’t a fan of mowing the yard, installing a pool can help! If you’re considering installing a pool or you have additional questions about the benefits of a new pool in Littleton, Colorado, Call Wetworks Pool and Spa today at 720-401-0004. If you already have a pool and you’re interested in learning about our maintenance services, contact us today for a free estimate.